Mitzvot As Spiritual Practices: Enthusiastic Actions That Bring Us Together! According to Rashi, the language “Tzav,” is intended to indicate that relating to mitzvoth must be by acting with alacrity (ziruz), immediately and for eternity. “Tzav” is derived from the word “tzavta,” which means team, togetherness, and associated with “hitchabrut,” a permanent and everlasting connection. We are meant to accelerate the pace and quality of serving Hashem through mitzvot and join with the Shechina, the Source of our Soul, as long as we are alive! The Chassam Sofer refers us to the quote in Devarim 4:4: “You that did cleave unto Hashem your G-d are alive every one of you this day.” The fascinating use of words is reflected in the Hebrew word, “deveikim,” meaning the cleaving and uniting of Jews with Hashem; the word “devek,” in Modern Hebrew means glue. Our efforts toward this end will ensure our being inseparable. Herein lies the secret of true bonding and an enduring relationship. No matter how much we want to hear the bells and see the fireworks, the surest and most certain way to promote and achieve a loving union is through continuous passionate actions that are done with alacrity and with enthusiasm. Hashem draws us b’tzavta, together, through the myriad and diverse mitzvoth (commandments) that shape our lives and guide our every move. 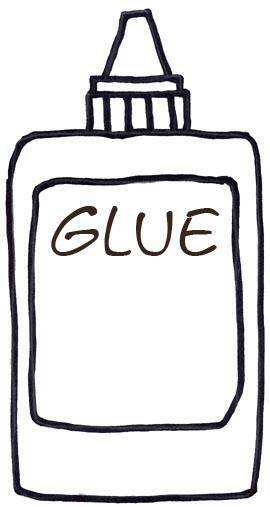 We “glue ourselves” to Him by constantly fulfilling His commandments and wishes, consciously and enthusiastically. This constant doing and desire to know Him and adopt His ways will result in the attachment of Myself to Him. Actions, the Mitzvot are Spiritual practices that promote and cultivate the process of bonding and unification. This is a life long endeavor. As the Sefer Hachinuch tells us: our hearts follow our actions! Rav Dessler wisely points out that we love those to whom we give, and not as is commonly thought, that we give to those whom we love. It’s the investment of myself that creates my love for another. Similarly, the relationship so sought after between a man and a woman is a life long endeavor entailing a lot of work, investment of time, energy and vigor. We must never feel that we hit the “homerun” (after marriage) and can now sit back and relax. The fact that I don’t feel “this is the one” after a couple of dates is only natural. The ongoing investment has not yet been made; the time has not been spent. The commitment to be involved in continuous “doing” for another has not been proven with the test of time. Loving and caring is an ongoing process that increases the more I give and invest in the other. It is not magic! In Shmoneh Esrei two of Hashem’s attribures teach us a great lesson: first we say: “boneh Yersushalayim” and then “matzmiach yeshua.” First comes the deliberate building, brick by brick, day by day, followed by the evolution and process of redemption. This notion is reinforced with one of the sheva brachot: wishing the couple to build a binyan adei ad, that the (building) marriage last forever; alternatively, the building can be understood as a verb: the work of building is never-ending. Hashem can bring redemption instantaneously, but He chooses not to in order to teach us the value of slow and painstaking steps that are part of the process of reaching closeness and unity. As my dear friend and teacher Esse Chasin A”H said in her book, Mitzvot as Spiritual Practices: “The mitzvoth offer health and happiness-a silver platter of goodies that are Hashem’s menu…the key to the gate of harmony, your way of keeping friends and treasuring relationships.” Correspondingly, the term “Tzav” alludes to the enthusiastic deeds that we ought to devote to a relationship, which in turn empowers and nurtures it, joining two partners for eternity! Sherrie is the SawYouAtSinai ‘Article of the Week’ writer as well as a dedicated SYAS matchmaker. Trained as an educational guidance counselor, group leader, pre-marital coach, matchmaker and Judaic Studies teacher, Sherrie is dedicated to promoting and enhancing emotional intelligence and communication skills in conjunction with Torah values. Choices of the Heart, a preparation and enrichment program for nearly-wed and newly wed couples, run by Sherrie Miller, focuses on teaching communication skills between couples, using Jewish wisdom and Torah sources. The workshops offer tools to build skills and realistic goals that empower young couples with on their way to establish a Jewish home. Having counseled singles and made a number of successful matches resulting in marriage, Sherrie volunteers as a matchmaker for SawYouAtSinai.